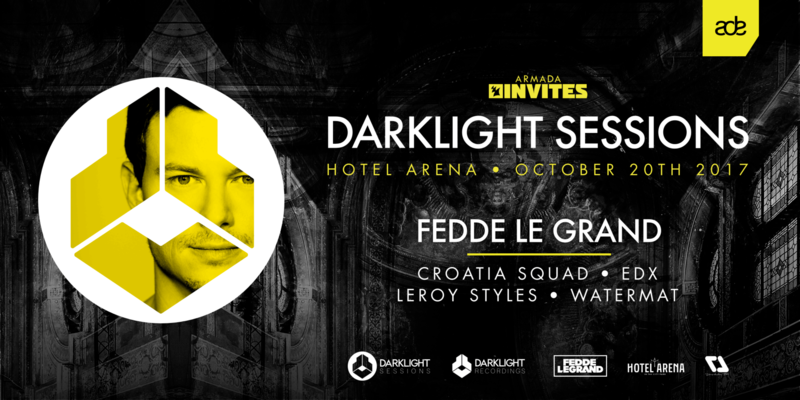 Never one to be short of surprises Fedde Le Grand is going out of his way to bring you the most unique experience possible, bringing his 2017 ADE night to the newly renovated Hotel Arena. The premises, formerly used as a Catholic girl’s orphanage, dates back to 1886. Its chapel designed with authentic frescos, marble pillars and beautiful balcony will take shape as the beating heart of Le Grand’s ADE line-up, showcasing the very best of house music in this magical converted church setting. Expect an extended set by Fedde Le Grand himself, stacked with some special guests dropping by to add to the usual madness. Boasting the night into what we can already state as legendary, is none other than Switzerland’s #1 most streamed artist EDX. This veteran of the scene with heavy hitters dating back to 1997 will be joined by fellow countryman Croatia Squad, who is the perfect fit to get this night started with his unique brand of house and tech house. First up though is French DJ and producer Watermät, whose 2014 single ‘Bullit’ stormed the charts in over five countries worldwide and is a welcomed regular guest in Fedde’s ADE line-ups. Last but by no means least is Dutch dance luminary Leroy Styles who’s proven to hold down any vibe and recently bombing Spotify with his track ‘Golden Youth’. Join us for the celebration of the first year of collaboration between Darklight Recordings and Armada Music in a night you do not want to miss!